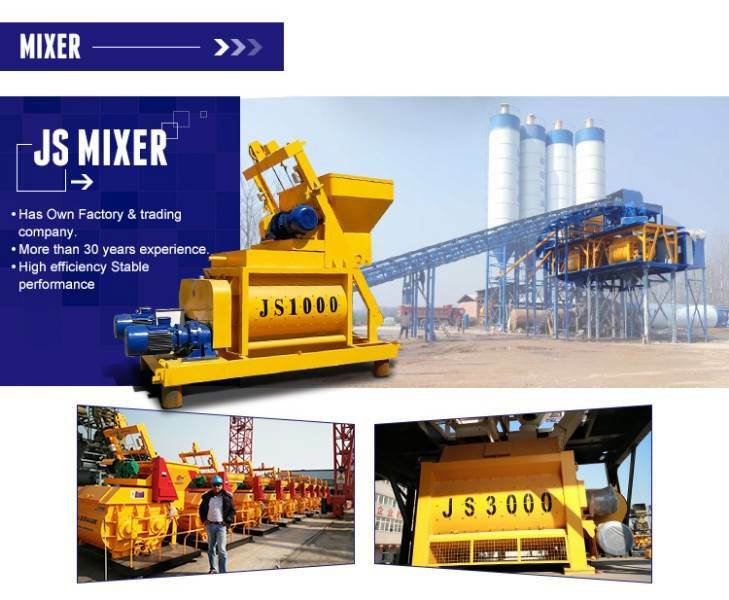 Our company produces many types of concrete mixers, including JS3000. We are China JS3000 concrete mixer manufacturers. Our JS3000 concrete mixer is of good quality, low noise, stable performance, good service and affordable price. You can consult us whenever you have any questions. 1. 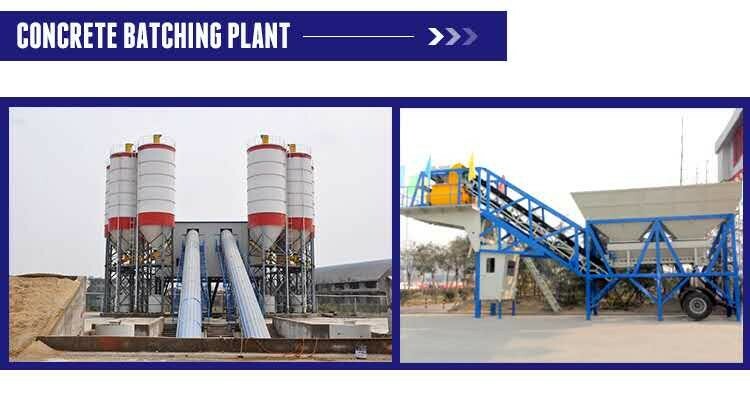 The collapse degree of concrete in JS3000 concrete mixer can be monitored and changed at any time to ensure the production of high quality concrete for users. 2. 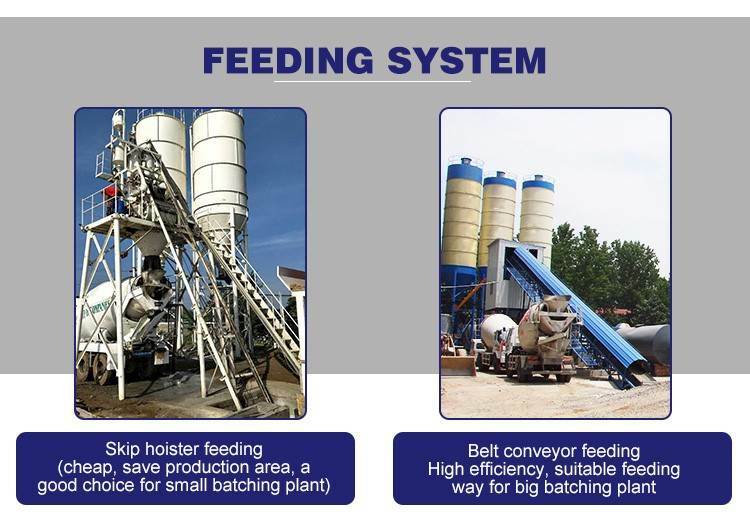 Scientific design concept and reliable experimental data minimize friction and impact of materials, make material flow more reasonable, greatly shorten mixing time, improve mixing efficiency and reduce mixing energy consumption. 3. JS3000 concrete mixer spindle seal structure adopts a combination of various sealing modes. Imported rubber seals are sealed with alloy parts. The automatic lubrication system is reliable and ensures the long-term reliability of the shaft end seal. 4. The blades and liners are made of high-alloy wear-resistant materials, with advanced heat treatment technology and design methods, and have a long service life. 5. 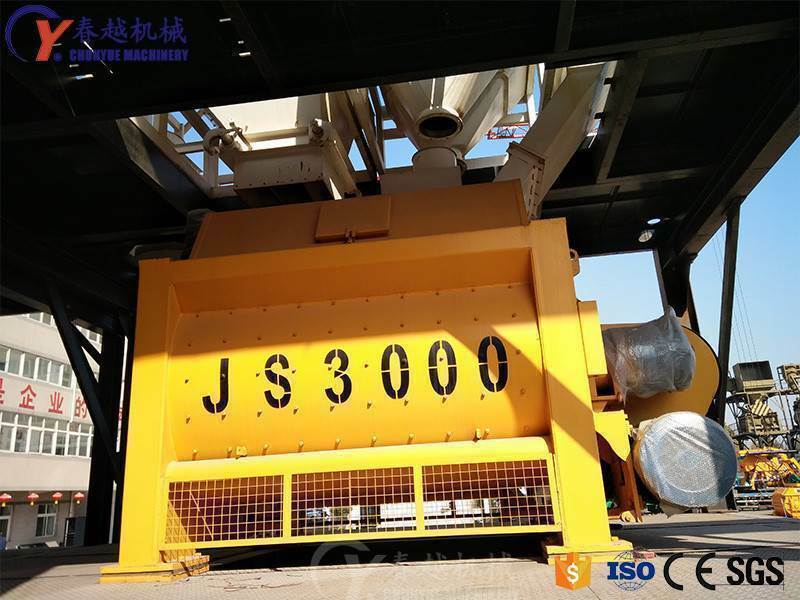 JS3000 concrete mixer mixing main reducer is a special mixing reducer developed and designed by ourselves. It has high efficiency, low noise, high torque and strong impact resistance. 6. 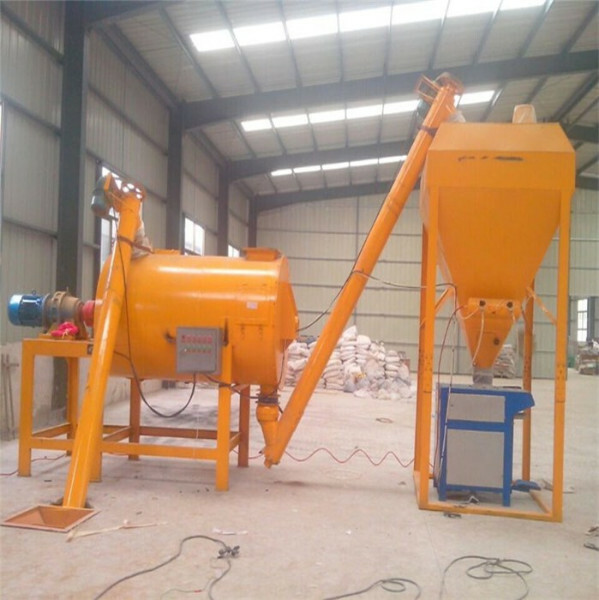 The advanced design concept of mixer perfectly solves the sticking shaft problem of mixer, improves mixing efficiency, reduces mixing load and improves product reliability.